Crowds at Disneyland can be a deterrent. For most of us, it is difficult to go when the park is not completely full. School and work schedules generally make it tough to go during off-peak times. However, it is still possible to get onto all of the top attractions during your visit. The first way to maximize your ride time and minimize your time spent standing in line is to plan your day and go first thing in the morning. We have found that you can get up to ten rides done, including several popular rides before lunch. 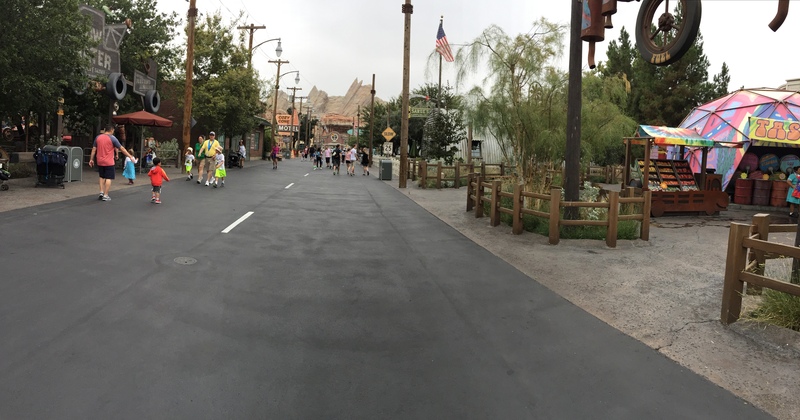 The parks get very crowded by 11 AM, but if you are there at rope drop, you can really get a lot done. Now the key to making the most of your visit is understanding how to use the FastPass system. FastPass is Disney’s way to allow guests to make a reservation on a ride. When you have a FastPass you bypass the majority of a given ride’s queue. Less time spent standing in line means more time on rides. The most popular attractions can have lines in excess of an hour. That is a long time spent standing in line. FastPass Entrance for Indiana Jones. This bypasses the entire exterior part of the queue. A few key points to remember. Not all rides have a FastPass available. Make sure you know which ones have them and where they are. There is a limited number of FastPasses for each ride per day. You can hold one FastPass until your FastPass return time, then you can get another one. This is key. If you do it right you should always have a FastPass in hand. Here is how it works. Find the FastPass Distribution. They are near the ride entrance but you may have to look around a little bit. You will want to know what the FastPass return time is, there is a sign near the distribution. As the day goes on, the FastPass return time will be later and later from when you retrieve your FastPass. You have an hour in your return window. Be sure you will be in that part of the park when your return time rolls around. You have found the FastPass Distribution. Go up to one of the machines and have your park tickets ready. Put your park ticket into the top slot. Your FastPass reminder ticket will come out of the bottom slot. Take it with you to remind you when to return. It’s also a nice memory of your trip. Now you have your FastPasses in hand. They tell you when to return for your reservation. They are linked to your park ticket, you do not actually need the reminder. When you return to ride you go to the FastPass entrance instead of the Stand By entrance. You scan your park tickets and go on in, bypassing the bulk of the line. You will want to be strategic. If the return time is an hour from now, you will likely want to stay in that part of the park. Plan what you are going to do. What rides nearby have a short line, or maybe get something to eat, catch a parade or a show. If the return time is hours from now, just be sure you have planned a few things to do between now and then. A couple of quick notes. There are also FastPasses for shows. You can get a FastPass for Fantasmic! in Disneyland and Worlds of Color in California Adventure. It is best to get these right when you get to the park. You can hold FastPasses for shows and still get FastPasses for rides. Also, your FastPass reservation will show up in the Disneyland mobile app if you use that. That is a nice way to check your reminder without having to pull out pieces of paper. Here are the rides that currently have FastPasses available. Guardians of the Galaxy – Mission Breakout! Give the FastPass system a try on your next trip.